World Earth Day is 22nd of April 2018 and with the lead up to it, we're celebrating nature and spreading awareness of how to be more eco-friendly. We’ve also created The Nature Collection, filled with jewellery making supplies inspired by the beauty nature brings along with eco-friendly products and one off natural gemstones. In this blog post, we look at the small ways you can make to look after the environment as a jewellery maker. From recycling, beach cleaning to sourcing ethical gemstones! We can all make sure we are recycling as much as we can. Plastic is a huge problem and we need to work together to reduce this waste. Why not have a bin especially for plastics in your workshop, making sure it’s easy for you to do your bit for the environment. You can also keep a collection of your scrap silver and shavings - you can then create a piece of jewellery using scrap metal but also sell this metal on to be recycled. Many jewellers already work from the comforts of their own home which is great for the environment - no cars or pollution caused from travelling to work! 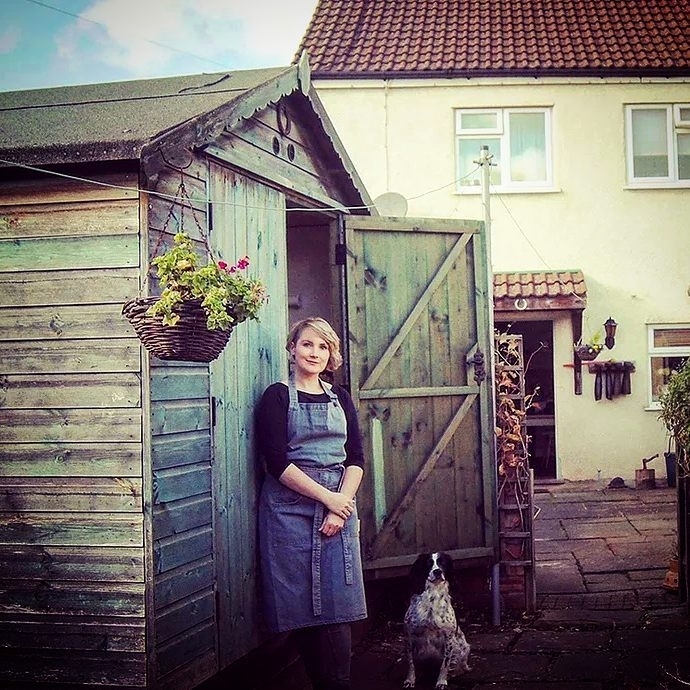 We see more and more jewellers converting sheds into workshops, as well as garages or their spare bedroom and these choices make such a difference. Sometimes space makes this impossible to achieve, so if you do have a studio outside of your home or you're a student - you can look into cycling or lift sharing to reduce pollution. As a jeweller, you have many opportunities to use recycled metal. For example, here at Kernowcraft we offer eco-friendly metal sheet and wire which is produced from recycled scrap silver in a totally traceable and fully audited process. This means you can feel confident that your handmade jewellery designs are sustainable. It’s been great to see so many jewellers and small businesses labelling their designs as being made from recycled metals. This is 'Make It Kim' - follow her challenge, creating 100 jewellery designs using just one piece of silver! 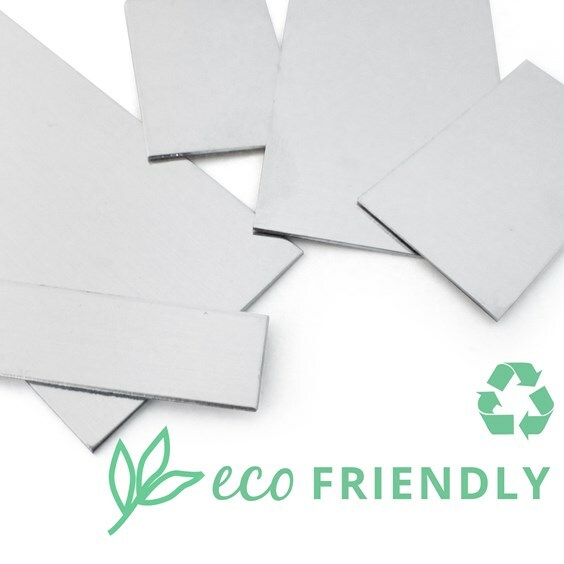 Check out our eco-friendly recycled sterling silver sheet and round wire - these are becoming increasingly popular with our eco-aware customers. 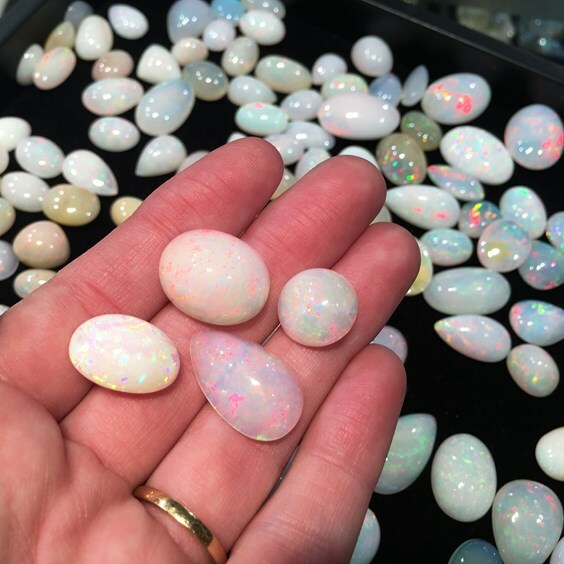 We have had a relationship with our Australian boulder opal suppliers for over 18 years - they're a husband and wife team from Australia who mine, cut and polish the gemstones themselves. A great way to help the environment is to be a bit more frugal! Look online and on Facebook groups to see if anyone is selling their jewellery making tools. Not only will you be saving money you will also be using something which could have ended up in the bin. Recycle your old plastic containers and transform them into pots for your supplies, you can keep your supplies organised and avoid loosing those fiddly findings or tiny gemstones! If you spend a lot of time on the computer, there are energy settings you can use to reduce the amount of energy your device is using. Other things you can do is check that your electrical jewellery making tools are turned off when not being used. Instead of advertising your handmade business in magazines or creating flyers, do more online promotions such as creating a website, doing banner advertisements, blogging, social media and giveaways. When managing your finances, it can be easy to be surrounded by mountains of paperwork but that can come to a stop. It’s amazing how much you can do online now, with many banks and companies giving you the option to go paperless. There are plenty of online apps and websites to help you along the way too. You could also use an online calendar instead of jotting down your plans and notes in a paper diary. All of these little changes means you’re reducing the amount of paper being used. Plants not only look beautiful in your workspace, but they are also said to bring great benefits to your health and the environment too. Many plants in your workshop purify the air by removing toxins and make it easier to breathe. If you’re always on the run - whether that’s getting your orders to the post office or picking up supplies, it can be nice to grab a coffee along the way. To stop the amount of waste, it’s best to have a reusable coffee cup which you can take along to the shop and also use at home. You usually get money off too for supplying your own mug. We have seen more and more jewellers now embracing sea glass and creating wonderful handmade jewellery with them. Over on our blog, we have chatted to many coastal jewellers who regularly visit the beach to find treasures. 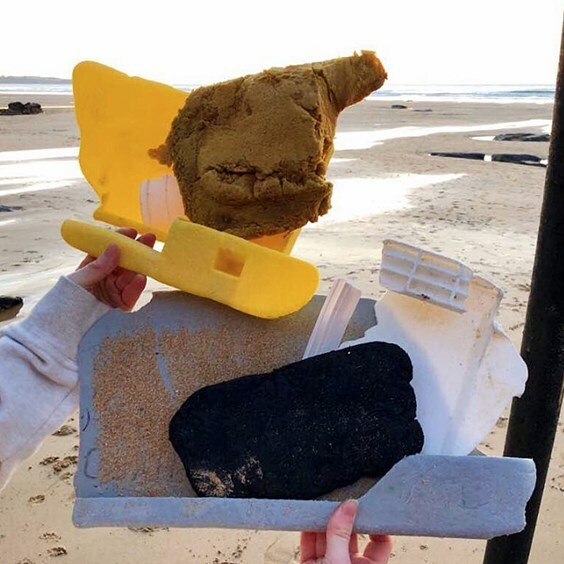 Plastic pollution still remains a huge problem, with bottles, straws, carrier bags and other plastics being found across British beaches. While you’re at the beach, you could take a bag along and a pair of gloves to also pick up any rubbish or waste you find along the way. We are proud to see more and more jewellers using recycled packaging. This reduces the amount of resources being used, while also repurposing the packaging for other things or to be recycled again. Sarah Clarke from View Of The Sea spends most weekends beach cleaning and looking for treasures to turn into beautiful jewellery. Not only is she helping to make Cornwall's beaches clean and safe, she's also recycling these pieces into something special. Katie from Salt and Silver Jewellery designs sustainable, earth friendly jewellery and it doesn't stop there. 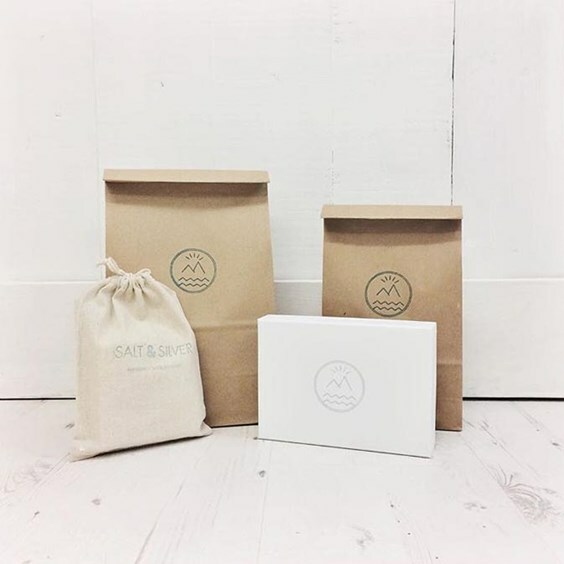 Katie's packaging consists of brown lunch style paper bags and linen pouches. They are 100% recycled and easier to reuse. Should you use coral in jewellery? There are also areas such as sustainability to take into consideration, and looking after our marine life is also something that should not be overlooked. For example, although we don't supply coral, we wanted to know more about using coral in jewellery; so in March 2018 we contacted Gregor Hodgson from Reef Check, a foundation based in Los Angeles helping to preserve our oceans and reefs. He said: "There are many types of precious and semi-precious corals used for jewellery. All corals are animals and precious corals grow slowly. The more valuable corals are the slowest. "Coral should only be used when it is sustainably harvested by using a scientifically managed system. There is only one coral fishery I am aware of that has actually been managed and that is in Hawaii. They thought that they had a good management plan and careful non-damaging harvest techniques using divers and subs. But they had to reduce the catch for black coral off Maui and for pink and bamboo in other areas. "Other than this, all the rest of the coral collected for jewellery is done so without regard to sustainability. This has caused the Med and Taiwanese stocks of red coral to be pretty much wiped out. "In addition, the methods used in Taiwan are to drag large boulders in deep water to knock down coral colonies into nets. This obviously damages the seabed in addition to being un selective. "So, as with any forest or fishery management issue, as long as it is sustainably managed including regular monitoring as is done with the Hawaii fisheries, then it should be fine. If not or if (as is suspected in Hawaii) there is a lot of poaching, then this is probably not a good thing. As with ivory and Rhino horns/elephant tusks, once is harvested, it is almost impossible to determine when and where and whether it was poached." It can be hard to source ethical gemstones, especially when shopping online. Always do your research before making the commitment to purchase. Read online reviews of the company, read the product descriptions to find out the origin or talk to the team to find out more about where the gemstone is sourced. At Kernowcraft, it is so important that our gemstones are ethically produced and come from trusted and ethical suppliers, including our diamonds which are conflict free and purchased from legitimate sources. We have long standing relationships with most of our suppliers and have received assurances that they treat their workers fairly, providing a safe workplace access to healthcare and a fair wage. When we work with a new supplier, we will research into the work site and do a search of any records of abuse filed against them. If there are any elements of unsavory practices, we will refuse to work with them. And finally, another way to make a difference is to spread the word. Get people talking about helping the environment and share how you make a difference and to encourage others to do the same. 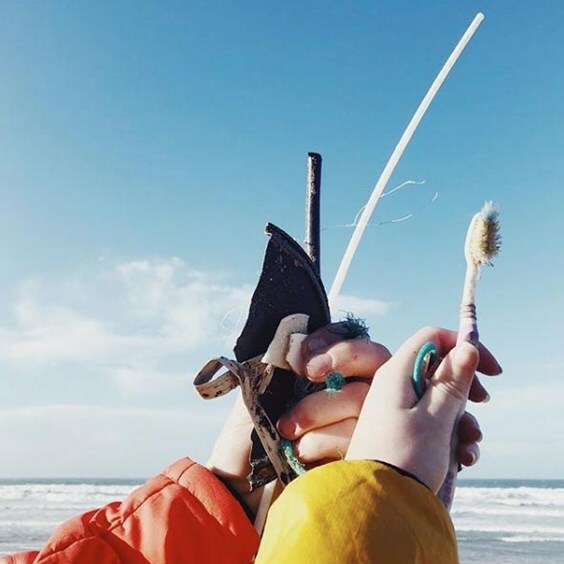 See what's happening in your community and get involved with campaigns such as beach cleans. In our local town Perranporth, we are thrilled to share that we have become the second place in Cornwall and fifth in the UK to achieve the Plastic Free Coastline status. This is a tourist hot spot, with people travelling far and wide to visit the three miles of golden sand so it's important that the environment is looked after. Plastics are estimated to represent almost 80% of total marine debris floating in the world oceans. If you want to help please take part in a small @2minutebeachclean when your out on your walks. 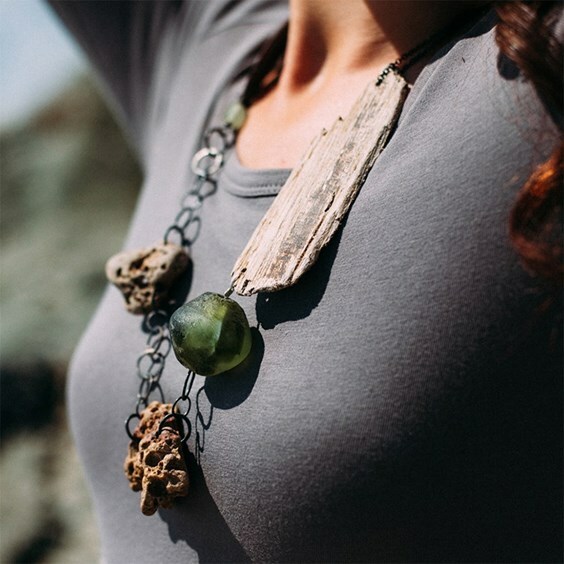 Sarah Drew creates handmade jewellery from materials such as driftwood, sea glass, plastic and pebbles that she finds on Cornish beaches. At Kernowcraft, we do everything we can to ensure that our small business does our part in looking after the environment. We are always conscious about reducing waste so we reuse and recycle as much as we can, all of our paper, card, plastic bottles and glass are recycled. If you’re a Kernowcraft customer, you will also know that your deliveries come in a padded envelope. These can be reused for either returning your item or using it to post your handmade items to friends or family - they can also be recycled, depending on what your council recycles. We are proud to supply ethically produced products and always ensure that our gemstones and products come from trusted and ethical suppliers - many of whom we have had relationships with for years. If you have any queries about a particular gemstone or tool, please do get in touch as we'd be more than happy to answer any of your questions. 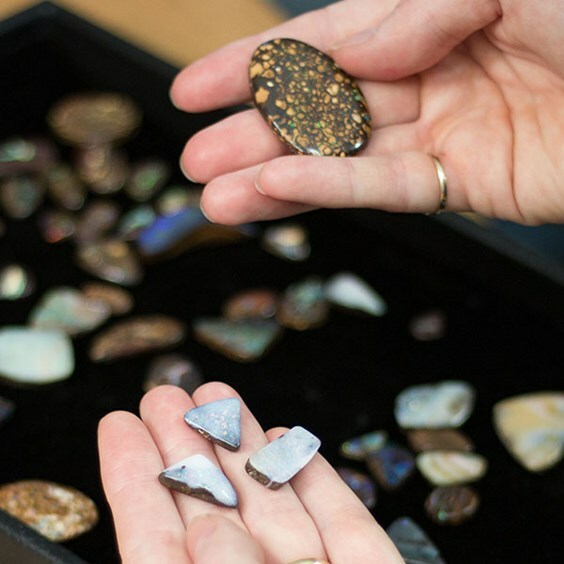 We’re giving away a beautiful natural Australian boulder opal to encourage others to share their photos on how they’re helping the environment or sharing their nature inspired jewellery designs.